Last year brought some brilliant new comics that I hope all of you read and will continue reading – gems like Saga, Hawkeye, Stumptown Volume 2, The Massive, Conan The Barbarian, and even intriguing new runs on books like Journey Into Mystery -- but if you’re curious what great ALL NEW comics to look out for in 2013, this is the list to get you started. 1. 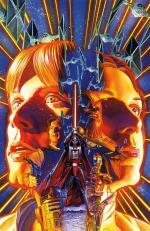 Star Wars (Dark Horse) by Brian Wood and Carlos D’Anda, covers by Alex Ross. There’s flat out nothing not exciting about this new series. The idea of new stories set during/between the classic original trilogy giving us all the untold stories with the characters we love? SOLD. Then you put Brian Wood in charge of writing it, Alex Ross on covers, and Dark Horse publishing and this book has just about everything possible going for it. Add to that the fact that Leia is not only the "leader" of the rebellion but also a fighter pilot and it's all I can do not to scream TAKE MY MONEY! The best news yet? 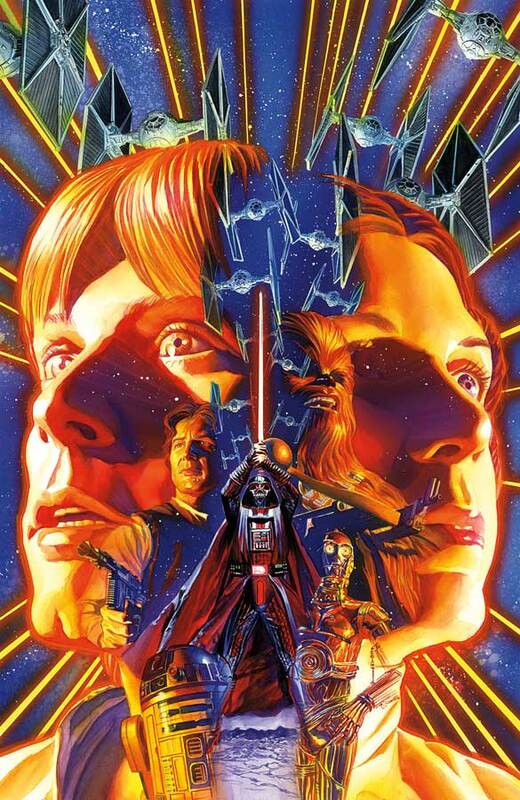 Unlike many of the books on this list, you don’t have to wait long for Star Wars – the first issue released this past Wednesday (01/09/13). You can buy that issue in stores or online now. In truth, the only thing I need to know about a new comic is that Greg Rucka is involved. That alone is plenty of incentive to buy. 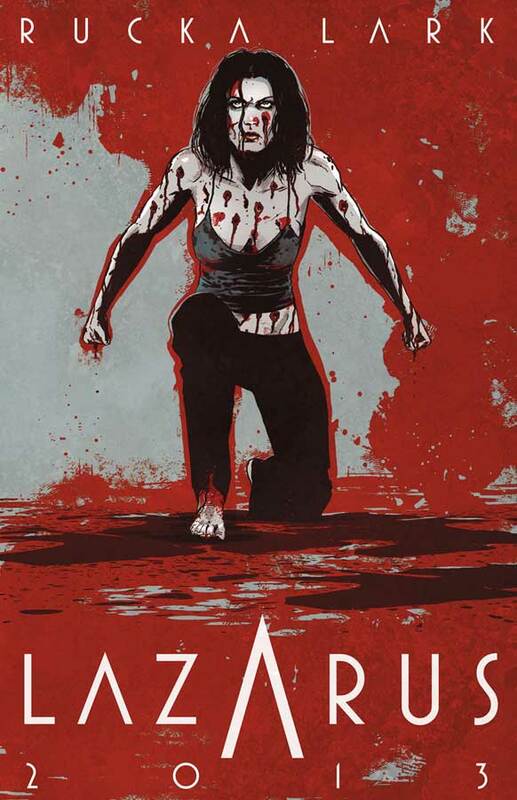 However, when you add to that the sublimely talented Michael Lark as well as Rucka’s description of Lazarus as "The Godfather meets Children of Men,” it's pretty hard to get to me to shut up about how excited I am to read it. With a female protagonist, something Rucka excels at, strong visuals from Lark, and one of the most innovative and quality driven "indie" publishers around -- Image -- publishing, this book is a must read before it's even released. 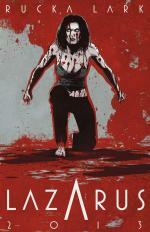 Lazarus is scheduled to debut in “early” 2013. 3. 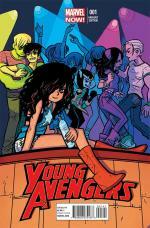 Young Avengers (Marvel) by Kieron Gillen and Jamie McKelvie with a great variant cover by Bryan Lee O’Malley. I'm not really an Avengers kid, as I was "raised" on The X-Men, but with The Avengers movie out there and the Hawkeye comic being perhaps the best superhero comic I've ever read, I have to say that The Avengers are giving The X-Men a run for their money these days. And from the looks of Kieron Gillen and Jamie McKelvie's upcoming Young Avengers book, I'll be adding that to the "pro-Avengers" list as well. With a radical young cast -- Kate Bishop, Hulking, Wiccan, Miss America, and Kid Loki to name a few -- everything about the book feels bold and new. It doesn't hurt that the book has been put in the creative hands of not only two insanely talented creators, but two creators who clearly love working together as evidenced by their previous pairings on everything from the indie darling Phonogram, to some superb issues of the short-lived Generation Hope. And as if there was any doubt that this book is thinking outside the box and loving everything about its creativity, youth, and enthusiasm, it's got a variant cover (pictured) that screams it from Bryan Lee O'Malley (creator of Scott Pilgrim). 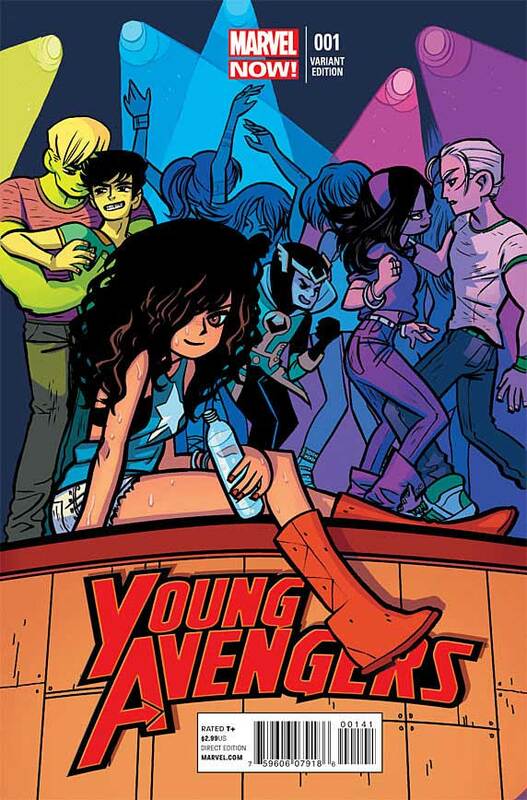 Young Avengers first issue drops on January 23, 2013. Scott Snyder is one of the hottest writers in comics right now thanks to his work on Batman, Detective Comics, and American Vampire. So when you let him loose on a new creator owned series at Vertigo and pair him up with the stunningly talented Sean Murphy, it's hard to imagine how this could go wrong. Pitched as an "underwater sci-fi epic like no other," the series purports to mix horror and sci-fi as well as mythology to create an expansive tale. Snyder and Murphy's previous pairing, the successful American Vampire: Survival of the Fittest mini-series, clearly left the creators with a taste for working together as they've been working on The Wake in some capacity ever since. We'll finally get to see it come to fruition in 2013. 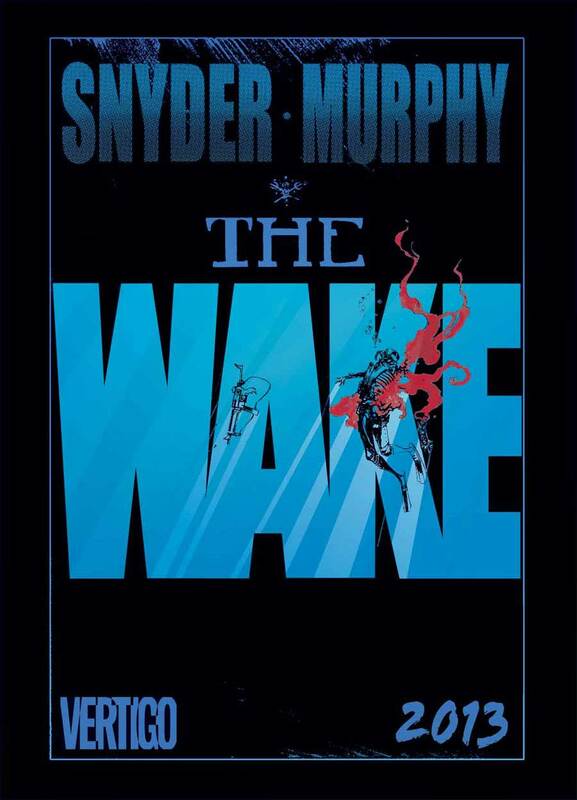 Between Snyder's serious horror chops and Murphy's brilliantly beautiful world-building, The Wake is a must read book for 2013. There's no hard deadline yet for The Wake, but we're told to expect it "sometime" in 2013. 5. UNCANNY X-FORCE/UNCANNY X-MEN Combo Pack! (Marvel) by Sam Humphries/Ron Garney and Brian Michael Bendis/Chris Bachalo, respectively. 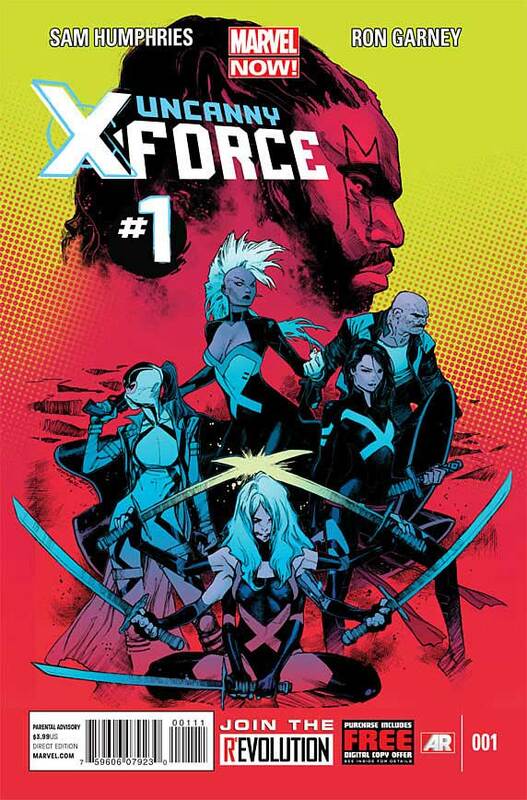 While I’m not too familiar with Sam Humphries as a writer and Ron Garney's work has been hit or miss for me in the past, the cast alone on this book is an insanely interesting mix: Storm leading Psylocke, Lady Phantomex, Spiral, Puck and someone named Cluster (no idea!) with it looks like some appearances by Bishop. I honestly have no idea what to expect here in the best of ways. Add to that phenomenal (and brilliantly practical) new costume designs by the uber talented Kris Anka and you’re a long way to getting me pretty excited about a new superhero book. To top it all off we've got a fantastic first cover (pictured) as well as some really great looking preview pages from Ron Garney which leave me giddy like the 16 year-old X-Men fan I was once upon a time. I find myself similarly excited by the new Uncanny X-Men book as well, thanks less to creative casting and more to simple creative teams. Chris Bachalo is an artist that I will follow anywhere, and he's particularly great when it comes to letting loose on the X-Men. 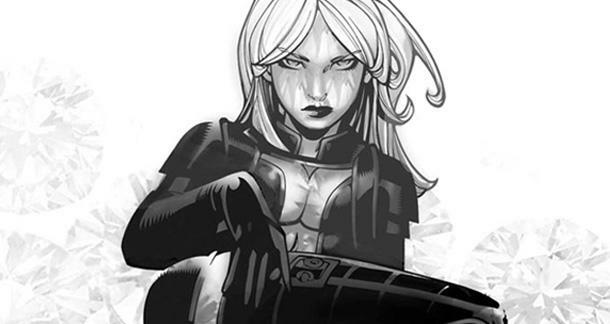 Brian Michael Bendis is taking his first big swim in the X-Men pool this year, but given his impressive work already on the All-New X-Men title, I have to say I'm excited to see what he can do with Bachalo on Uncanny. It's an interesting time to be an X-Men fan. 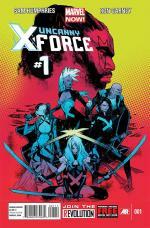 Both Uncanny X-Force #1 and Uncanny X-Men #1 will debut in January 2013. One of the smaller books this year that I find myself most excited about is Kelly Sue DeConnick and Emma Rios's creator-owned book Pretty Deadly from Image. Described by DeConnick as a "spaghetti Western in classic style," it apparently tells the story of a female assassin who finds herself competing for a prize she does not necessarily want to win. DeConnick has made interesting comments about her lead character and how the character's disfigurement has given her unique advantages given the time period she's living in. All that plus stunning visuals by Emma Rios make this one of the more exciting offerings of 2013. 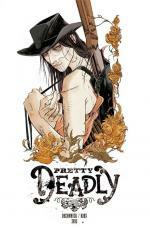 Pretty Deadly is tentatively scheduled for a Spring 2013 release, so keep your eyes open! One of the biggest announcements for comics in 2013 was from Neil Gaiman's. Not only was he going to be releasing a Sandman mini-series prequel with Vertigo, but he was going to be getting perhaps the best illustrator working in comics today -- J.H. Williams III -- to illustrate it. People haven't been this excited since...well, since I don't even know when. To have Gaiman returning to his beloved and critically acclaimed Sandman series and to bring in Williams III seems almost too good to be true. But that is of course how Gaiman rolls-- only the best! Of course the only downside is that this means Williams III will have to leave art duties on Batwoman for a while, but according to Williams III that was scheduled anyway, as he has been cycling on and off of art tasks while he juggled the co-writing duties. If you're a long-time Sandman fan, this will be a chance to get back into the series, or, if like me, you've got a Sandman-sized gap in your reading history, it may finally be time to remedy that, so you can enjoy this as Gaiman intends! 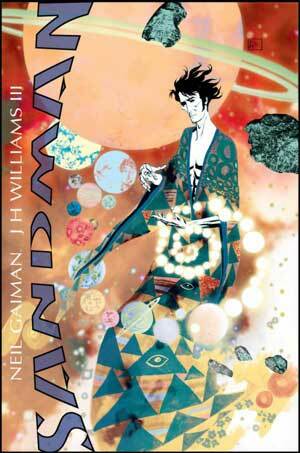 Sandman does not have a date yet, but it scheduled for release sometime in 2013. 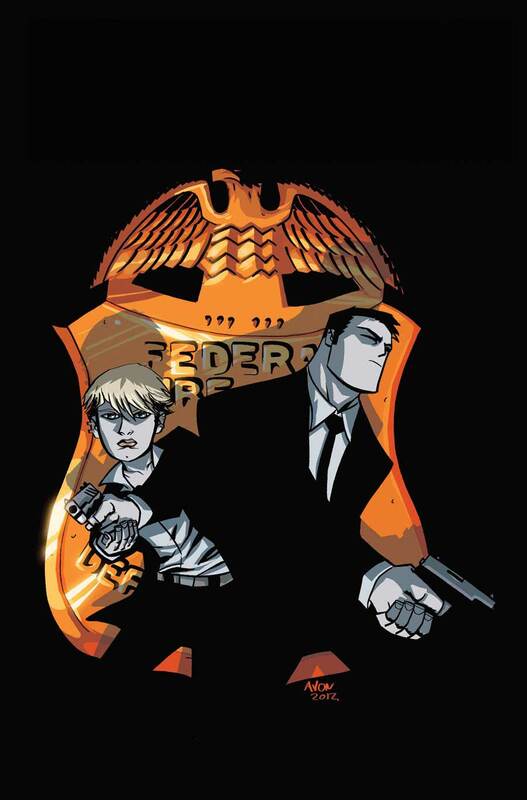 Brian Michael Bendis and Michael Avon Oeming's long-running-though-sometimes-infrequently-released Powers series is a critical darling and a legitimate hit, but for this fan, nothing has quite been the same since Deena Pilgrim left. So the new series launch of Powers: Bureau promising "a bold game-changer for the iconic crime superhero comic that started it all" as well as an "amazing jumping-on point for new readers" is exactly what the doctor ordered. Thanks to Bendis and Oeming's extremely busy schedules with both creator-owned and corporate books it has sometimes felt as if they just don't have time for the Powers world anymore, but I take this as a sign that they're as committed as ever to the world and characters. So it's with high hopes and greedy enthusiasm that I rub my hands together in anticipation of Powers: Bureau. If you've always been interested in Powers but have never been sure where to start, now's your chance to get in on the ground floor of the new series. Powers: Bureau is scheduled to debut in February 2013. Gerard Way, perhaps best known to most as the lead vocalist for My Chemical Romance and to comic fans for his Umbrella Academy series, is bringing the 2010 high-concept album The True Lives of The Fabulous Killjoys to comics. With the help of co-writer Shaun Simon and illustrator Becky Cloonan the six-issue mini-series will be a coming of age story of a young girl, but it sounds like there will be plenty of post-apocalyptic deserts, lasers, and prophecies to go around as well. 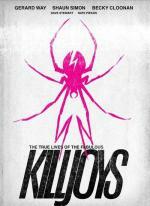 The first peek at The True Lives of the Fabulous Killjoys will debut on Free Comic Book Day, May 4th, 2013, in an unrelated story that takes place in the world of the Killjoys. The mini-series will follow after that. 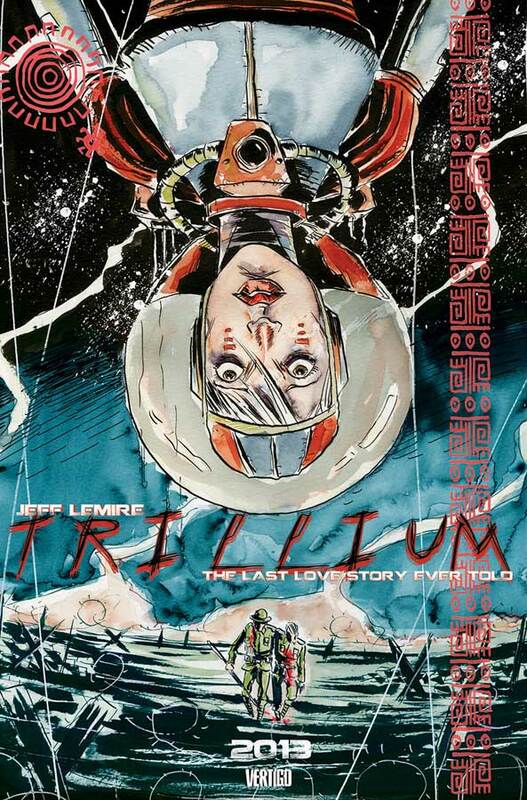 A love story dressed up as a sci-fi thriller, Jeff Lemire's Trillium is purportedly about a couple, Nika and William, who fall in love and bring about the end of the universe as a result. It also has the catchy tag line "It's the last love story ever told." Written and illustrated by Lemire, whose creator-owned Sweet Tooth and Underwater Welder, and his writing for DC's Animal Man (among others) has brought him critical acclaim and a large fan following, Trillium is his next big indie endeavor. Moving out of his comfort zone, Trillium will be Lemire trying his hand at Arthur C. Clarke type hard sci-fi, and at 10-issues will be collected into one big volume at the end of its run. 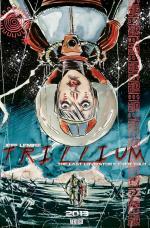 There's no hard release date for Trillium, but the mini-series is scheduled to begin in 2013. So those are my top 10 anticipated comics for 2013. Do any of these excite you? If not, what are you most looking forward to in comics for 2013? There are all great picks. 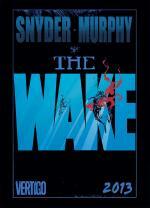 I am so excited about Wake as I think Snyder is a top tier writer and Murphy is off the charts, especially after P.R.J. Glad to see Deconnick and Rios back together again as well. That Osborn mini they did together was terribly underrated. always happy to get comic recommendations - and glad to hear that Lemire is coming out with another one this year. A few that are now on my radar...dang it Kelly...stop pointing out new awesome stuff...I have a kid to feed! I cannot wait for the new Sandman. This is my most anticipated comic book ever. Looking forward to Young Avengers because Gillen's run on Journey into Mystery was killer (and starred Kid Loki). Storm with a mohawk? Again? Gag me with a spoon! I hated it in the 80's and I still hate it.